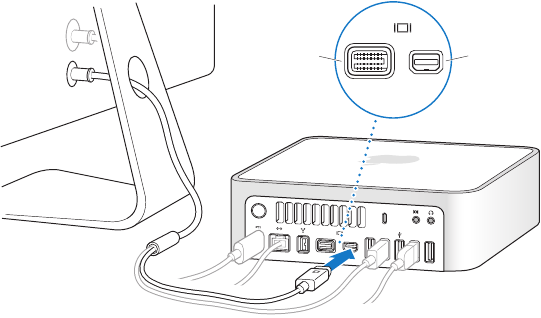 Step 4: Connect a display cable to the Mini-DVI port or Mini DisplayPort. A Mini DisplayPort connector. Connect directly to the Mini DisplayPort. connect to the Mini-DVI port. are available at www.apple.com/store or your local Apple Store.